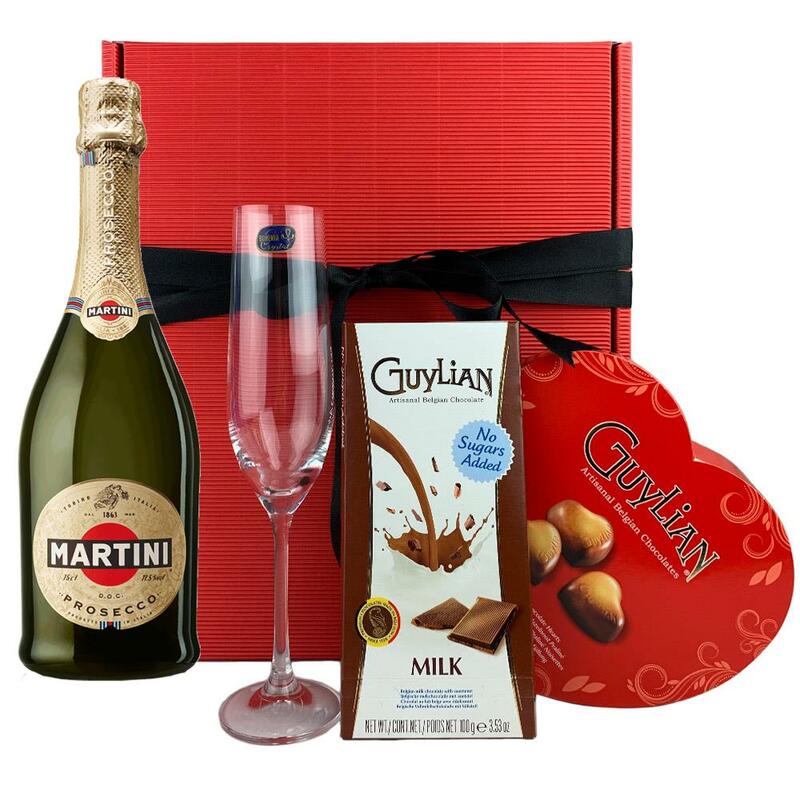 Buy this lovely Heart gift box and get and get a bottle of Martini Prosecco DOC NV 75cl all packed together with a beautiful Crystalite Bohemia Flute with a lovely heart box of Guylian artisanal Belgian chocolate hearts. Presented in a lovely red gift box. The Martini company was founded in Italy in 1863 producing vermouth but also sparkling wines made from the locally grown and naturally sweet Moscato Bianco grapes. This Martini Prosecco has an aroma of flowers and fruit with apple, pear, banana and thyme notes.In the mouth its dry but fruity (fruits and mandarin), well-balanced fresh, citrus and perfectly balanced in the finish.